DBC can get down and funky! 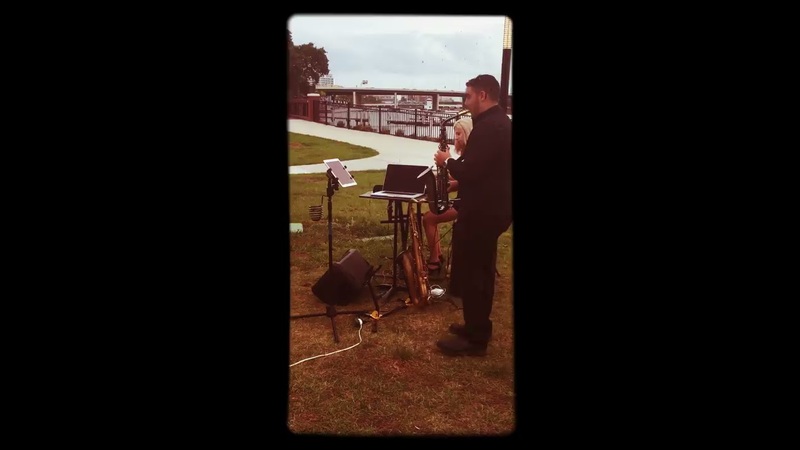 Have DBC play your ceremony with our saxophone and piano duo! Use a DBC provided microphone for your party toasts! Enjoy a soft jazz piano backdrop at your event! DBC even plays at restaurants! You can hire any combination of musicians with DBC! Have DBC be there for your greatest moments! Oh, did we forget to mention we have a horn section?! Danny Bub playing the tenor saxophone! Don't forget to ask us about our holiday music! Ask us about our lighting system package! Don't forget to ask about our cover band! The Danny Bub Combo isn't your average jazz combo! We offer you an entire package for your event! This package is perfect for weddings and corporate events/parties, and cocktail parties/dinners. Our package includes classical ensembles, a jazz combo, and a DJ which covers all the entertainment you need at your event! You can hire the whole package or different pieces of what we offer! We also play clubs, bars, and restaurants. We can provide you with a backdrop of smooth jazz performed by a solo saxophone, solo guitar, or a solo piano. We can also have any size ensemble from a duo to a full quintet as well as a party band that can get funky and play your top hit favorites! DBC can do it all! Danny and his crew played to kick off our wedding reception during cocktail hour and dinner. It was the perfect backdrop to the evening. They've got a great sound and I love how they use contemporary songs and put them into the Jazz sound. The Danny Bub Combo played for hours non-stop. They played great music in so many different styles. I am usually not one for jazz but they really got me into it. They played pop songs that everybody knew and could recognize in a way that I had never heard before. Overall they were very professional and just fun! I highly recommend booking them. Great Music & Very Professional! Danny played the saxophone at the Cocktail Reception for my friend's daughter's wedding (which I assisted in planning) this past Saturday at the Rusty Pelican (Tampa). The music and Danny's playing was excellent!! We received numerous compliments from guests about the music. Not only was the music great but Danny was very friendly and very professional. Danny was there extra early for set-up; and when the cocktail hour had to be extended due to a mistake made by the venue, Danny stayed for additional time to accommodate the extension of the event. I would not hesitate to hire Danny again and he comes with my very highest recommendation!!! I can only imagine how great the music is when Danny and his sax are accompanied by the rest of his band. Looking forward to hiring the whole band at my next event! DBC played at my wedding on April 15, 2017 at Ulele. They got it right! The DBC is the most bang for your buck band you will ever hire. When I first reached out to Danny Bub, he responded within hours. Understanding that communication is key, it was a no-brainer that they were the ones. Danny and I touched base on several occasions to go over broad details and as the wedding drew nearer, we scheduled a meeting to discuss the finer details (logistics, set-up, song choices, etc.). Danny is a people pleaser - he is a great listener and asks several questions to ensure that he gets it right. The band was at the venue plenty early to set-up, which offered them enough time to run to the store and buy a needed extension cord. I hired them to play as a jazz quartet (reception) and sax solo (ceremony). The members were so very easy going, flexible and polite. The DBC included a sound system and microphone, which came in handy during the toasts. I gave Danny only a few songs to play and told him to do what he does best and he did not disappoint. So many guests, especially the musically talented, were blown away. They truly set the mood and put my wedding over the top. DBC will go far! We had DBC play for our company's cocktail event and they were amazing! 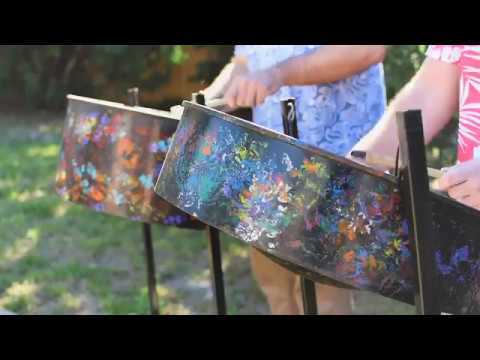 Our clients loved their music and how fun they were! Very talented and professional. We will definitely use them again and I highly recommend DBC for your next event. Great music and awesome vibes! This band is as talented as they get, with each musician as expressive as the other with their instruments, and they are a very nice group of guys to boot! The atmosphere when they play is always enhanced and the wine seems to taste even better. They are definitely worth watching to the end, especially when they do solos. I had a great time with this band and will be going to see them again for sure! 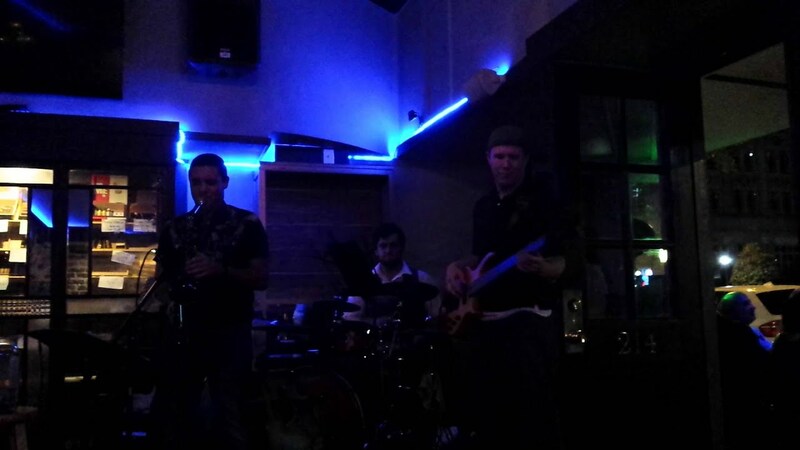 This four-piece funky, jazz, pop band is one that you do not want to miss. The rhythm section starts with a funky bass player who plays fast-finger riffs that flow throughout the fretboard. Then joins in a drummer with an ability to play any pace or style seamlessly, perfect transitions and ska-like drum fills, who really knows how to bring the energy up. Factor in the keyboard player who helps accentuate the bass and add a fuller sound to the mix with melodic fills, knowing exactly what to play at the right time. Then finally top it off with the lead saxophonist, Danny Bub, who is like no other brass player I have ever seen live. He sets the mood right with some slow jazz and then when the band energy rises, he switches into difficult and melodic dance-enticing solos. 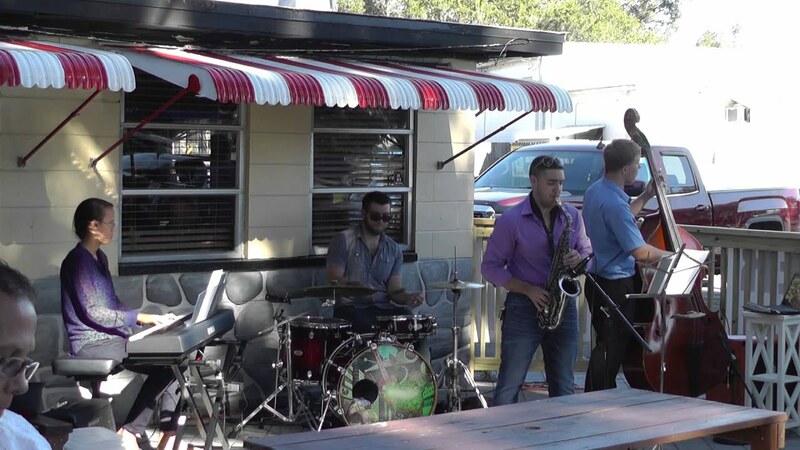 The DBC plays funk, jazz, and unique version's of pop songs with the saxophone playing a very catchy rendition of the lead vocalist's melody. The band has great dynamics, rising and falling many times throughout each song, keeping the listener's ears happy and the dancing feet moving. 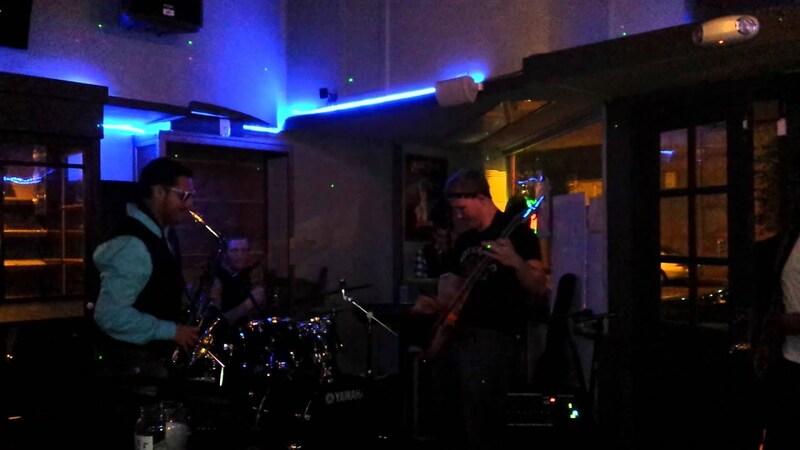 Overall, The Danny Bub Combo is an outstanding four piece band with each musician as talented as the next and a cumulative sound that rocks!!! Praise be to the almighty lords of funk! As a person who was nevery much into jazz or funk this wasnt a band I was particularly excited to see. After walking through the doors of a cigar longe in downtown Tampa I had been to a few times. I entered the John Rolfe lounge the experience was much changed from the dead somber mood that was usually so prevelant through the place. It was electrified people were dancing and having a wonderful time. This was of course because of the musical stylings of the Danny Bub combo. They shocked me with their performance, it wasnt the smooth slow experience I had expected but a rough rocky and payfull sound that makes the soul want to leap up out of your chest start swinging your hips like a rope bridge in a hurricane. They had introduced me to FUNK and I do not plan on ever going back. Thank you you wonderful StanKY funky people! Price Range: $250 and up!